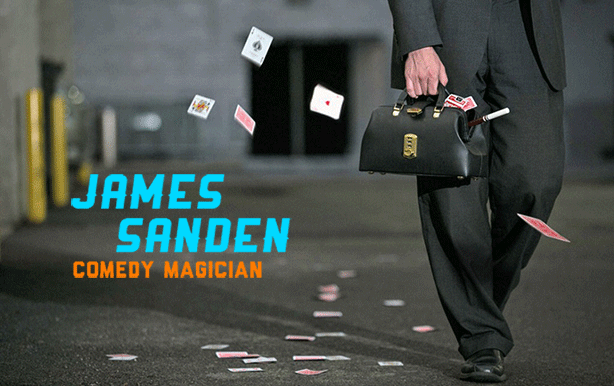 As a Chicago magician and corporate entertainer, I find myself performing at a wide range of events and venues, from holiday parties to wedding receptions, from trade shows to customer appreciation dinners. But at the end of the day, most performances fall into one of two categories: close up magic or a stage show. I typically perform close up magic at cocktail parties, for trade show entertainment and in hospitality suites. I most often perform my stage show at awards banquets and as after-dinner entertainment. But the two are very different types of performances. Close up magic tends to have a stronger impact, but the shows are much shorter, while stage shows are longer, have more of a theatrical structure, but lack the intimacy and “wow” factor inherent in a close up magic performance. A parlour magic show is a wonderful hybrid that combines the best of close up magic and a stage show. Typically performed for 5 to 20 people, it includes high impact close up magic, but because it’s a formal show (from 15 to 45 minutes in length), it’s a more theatrical experience and includes a larger variety of magic. It’s an actual show, but performed up close, right in front of your face, taking the experience to another level. So the next time you’re looking for entertainment, whether it’s corporate entertainment or something for a private event, consider a parlour magic show. You’re virtually guaranteed your guests have never seen anything like it, and the impact and entertainment level can’t be beat.